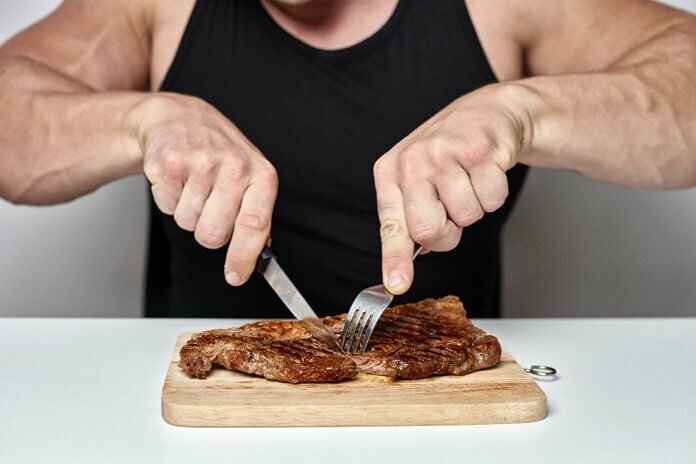 When most people start their diet, they up their cardio and take their fat burners, and gradually start cutting back on calories but here is a tip that most people don’t realize: eat slower! The thermic effect of food for the 15-min period after the start of eating with fast eating was significantly lower than with regular eating. The thermic effect of food is one of three factors contributing to the total metabolic rate of the daily calories burned, the other two being our basal metabolic rate (BMR) also known as our resting metabolic rate (RMR) as well as our level of physical activity. A common estimate of thermic effect of food is that it accounts for an energy expenditure equal to 10% of our daily calorie intake. The relationship between eating speed and the thermic effect of food thermic effect of food remains unclear. 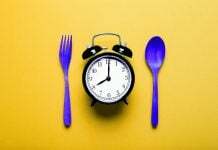 Researchers investigated the difference in the thermic effect of food when meals containing the same amount of energy were eaten in 5 min (fast eating) or 15 min (regular eating). Subjects were nine non-obese young women. Following a 350 kcal (1464 kJ) meal, energy expenditure and autonomic nervous system activity were measured. The thermic effect of food for the 15-min period after the start of eating with fast eating was significantly lower than with regular eating. Fast eating may reduce the thermic effect of food, potentially because a decrease in mastication frequency decreases sympathetic nervous system activation. Another interesting finding was that the thermic effect of food was correlated with the chewing and frequency. This led the researchers to suggest that a lowered thermic effect of food from eating faster was because a decrease in chewing frequency resulted in decreased sympathetic nervous system activity. As such, there is less need for energy providing processes such as thermic effect of food. The morale of the story is that people need to slow down when they eat their food, as pointed out by this study the thermic effect of food was less when people ate fast so a meal should be eaten over a 15-minute period if not longer. Researchers recently published in the International Journal of Obesity, that eating too fast is associated with obesity. Researchers undertook a systematic review with a meta-analysis of published epidemiological studies to provide a reliable close estimate of the association between eating rate and obesity. A comprehensive search of MEDLINE, EMBASE and CINAHL was conducted to identify studies that reported quantitative estimates for indices of obesity based on the category of eating rate. Data from 23 published studies were eligible for inclusion. When the data was collected is found that eating quickly is positively associated with excess body weight. The researchers calculated that across all studies, the chance of being obese was 2.15 times greater (odds ratio) in individuals who ate quickly compared with individuals who ate slowly. Toyama K, Zhao X, Kuranuki S, Oguri Y, Kashiwa Kato E, Yoshitake Y, Nakamura T. The effect of fast eating on the thermic effect of food in young Japanese women. Int J Food Sci Nutr. 2015 Jan 22:1. Previous articleBiggest Fitness Mistakes…and how to avoid them!